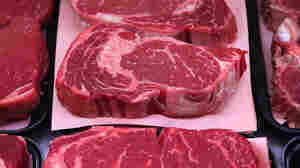 June 12, 2013  No, your eyes aren't fooling you: Prices for burger and steak meat have been going up this summer. Why? The ongoing drought in the Midwest has created a shortage of feed, raising expenses for ranchers and forcing some to cull their herds. And economists don't expect the beef price hikes to let up this year.